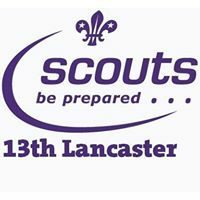 Hello to all parents, cubs and beavers and scouts. Reminder of Monday’s Christmas fair (5th December) from 6 -8. This takes place of the usual beaver and cub sessions. We hope you and your children and grandmas and grandads will come to the fair and have some fun, buy some reasonably priced pressies, have a cuppa and a cake, and enjoy some togetherness. We have some lovely hand made items for tree decorations, holly wreaths and pots and baskets, stocking fillers and small pressies the kids can by for mum or dad, as well as the raffle and tombola, and a few special edition teddies again! So dust off those change jars and bring your pennies to the scout hut. If you still have things to donate for raffle or stall you can deliver on Thursday evening 7-9 or Sunday afternoon from 1-3.